12th Grade: Does Capitalism need a Socialist Inoculation? 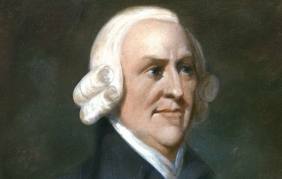 This week we continued our tour through prominent economic thinkers throughout history, and we began with Adam Smith. Each nation sought to promote complete economic self-sufficiency. To accomplish this, local economic industries needed protection against foreign competitors, which often meant high tariffs on imports. Building off of William Petty, Smith argued that money has no value unless its used. Money is just worthless paper under our mattress. So we should have no qualms about spending money on things we need or want. For example, when we go the grocery story we do not walk out thinking, “Hey I gave them my money and all I have to show for it is this bread, milk, eggs, and cereal.” No one likes to spend money if they don’t have to, but in general we are happy to give the grocery story money rather than make our own milk, cereal, and so on. We make the exchange because it benefits us. In the same way, we should be happy to import the goods we need to help make us productive. Just as we don’t think in terms of the massive “trade deficit” we personally have with Costco, so too we need not worry about how our nation has exchanged money for goods overseas. However nice ad idea self-sufficiency may be, Smith points out that it’s inefficient. We need only to think of our own talents, and how much better we do in areas of strength. Wealth should not be measured by how much money we have but the purchasing power of that money. If your economy operates more efficiently, goods become cheaper. You may still have just $1, but that $1 can buy more than it used to. You are wealthier under those circumstances. This is one way in which a more free market can increase the wealth of a nation. The alternatives to a free market is a regulated one. And who shall make the regulations? What person has the knowledge and omniscience to set fair prices? No one does, and woe to those who imagine that they do. All regulations of the market will hinder the economy and rob people of the freedom to decide what they think is a fair price. Smith would continue and argue that economic freedom helps foster political freedom. Smith does have his detractors, or at least, those that want to modify his ideas. Do we really want the free market to decide everything? Certainly very few of us would want the market to decide who got liver transplants, for example. If it did, the wealthy would always get preferential treatment. Would we accept a completely unregulated meat or medicine market? Marx wrote during the heyday of the Industrial Revolution. Production had increased dramatically, and more products were available to more people more cheaply than ever before in human history. At the same time, the Industrial Revolution seemed to create a huge gap between the rich and poor, and this helped form the basis of Marx’s thought. The I.R. had its origins in economic freedom, but Marx saw it eroding freedom in the end. What would even Adam Smith think about a nation of small-farmers and independent shop keepers being put out of business. They end up as “wage-slaves” working for “the man.” Thomas Jefferson too felt that political freedom had its roots in independent landowning. Those who have freedom in their private lives will naturally want to have freedom politically. But could democracy continue if we all answer to the big boss man? Marx saw no point in pining away for bygone days or halting technological progress. Rather, as technology changes we need to find new ways to put the means of production back into the hands of ordinary people, the way it was before the I.R. Herein lies one of Marx’s major concepts: each economic system (including free market capitalism) has an internal logic to it that eventually exhausts itself. As Marx saw it, capitalism would soon do the same. Well, you can make good refrigerators and sell them to lots of people. But what happens when everyone has a refrigerator? What happens when the railroad company has no more land to build track on? At this point, capitalism (according to Marx) either collapses, or buys itself time. Capitalism can buy itself time only by encouraging wasteful consumption. You can either a) invent pointless new products and try to fool people into buying them, or b) make your products worse so people will have to buy them more often. But either option will rob people of freedom, making them stooges of corporations. All this is the gospel according to Marx. He had many things wrong. He put too much stock in the “labor theory of value.” Capitalism has also found new ways to reinvent itself. Instead of railroads we came up with cars and planes. Companies can also find profit in ways besides simple expansion. 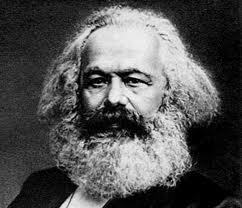 Marx also did not see how the market could improve standard of living for those at the bottom of the economic ladder. For example, think of the vastly improved quality of even entry-level cars today compared to 20-30 years ago. Or we can recall how quickly and steeply the price of dvd players fell in the span of a few short years. But does Madison Avenue ever attempt to create needs that are not there? Does our society encourage pointless consumption — and can capitalism survive if this kind of consumption forms its foundation? In our discussion we pondered some of the historical reasons why capitalism did not collapse when Marx assumed it would. Some suggested that beginning in Teddy Roosevelt’s presidency, we abandoned a more pure liberty/untethered market approach and began to sprinkle in a dash of equality and fairness. We began to regulate businesses in certain ways. Organized labor became more prominent. Did this switch either ..
Inoculate capitalism from the full blown socialist disease? In this view, we prevented the rise of socialism entirely by giving ourselves a small dose of it, to allow the capitalist “body” to produce the necessary resistant to socialism. Put on us on the road to socialism at some point in the future. Will this be a virus that keeps growing and slowly learn to take over the system. Part of the nature of the debate has to do with the ever-present tension between liberty and equality in any democratic system, which can take us back to De-Tocqueville.